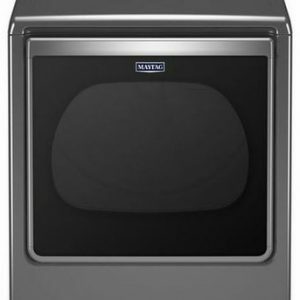 This selection from Maytag offers 4.5 cu. 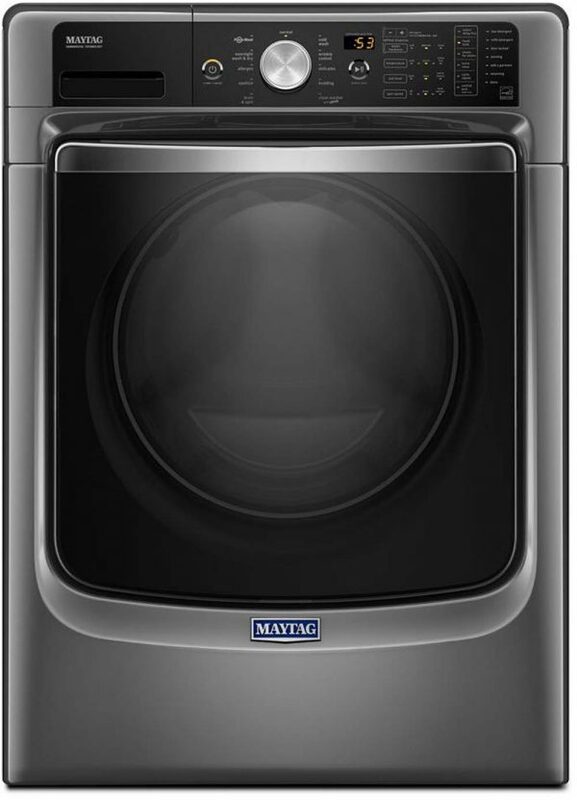 ft. of capacity and features Maytag’s PowerWash® technology for outstanding wash power. 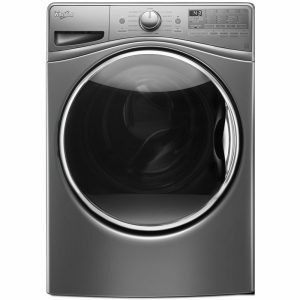 The washer’s Optimal Dose Dispenser conveniently holds up to 12 loads of laundry worth of detergent and dispenses just the right amount when it’s needed. Bleach and fabric softener dispensers are also included for maximum sanitation and freshness.Specialty wash options include the Fresh Hold® option, which periodically tumbles and circulates fresh air through a finished load for up to 12 hours after the wash cycle in order to keep them fresh. The sanitize cycle and NSF-certified allergen cycle eliminate household bacteria, allergens and odors. 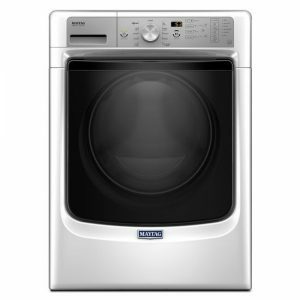 The Steam for Stains Option powers out stains using additional soak time, optimal water temperature and a boost of steam. The Overnight Wash and Dry Cycle Wash can have important laundry items ready when you need them tomorrow morning – after a Quick Wash cycle, a fan and intermittent tumbling circulate air through the load so clothes are dry by morning.This is also one of Maytag’s most efficient washers. With a Tier III CEE rating (the highest possible rating for efficiency) and ENERGY STAR® certification, you can count on big savings. The Optimal Dose dispenser adds the right amount of detergent when it’s needed, and holds enough for up to 12 loads of laundry. 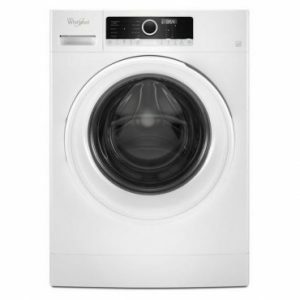 Keep the washer delivering its best performance with the Clean Washer cycle that deep-fills the washer to clean even those areas that aren’t normally reached by low-water wash cycles. NSF-certified cycle to eliminate household allergens.